A cleaning has been performed, and now the silo is without a sheriff. With only one good candidate available, Mayor Jahns and Deputy Mames set off for the Down Deep to recruit her in person. Along the way, they discover much about each other, troubling news about this candidate, and stumble upon fractured alliances that could spell the doom of a silo they've worked long years to protect. The silo has appointed a new sheriff. Her name is Juliette, and she comes not from the shadows of deputies, but from the depths of the down deep. But what does being a mechanic have to do with upholding the law? And how will she be able to concentrate on the silo's future when she is surrounded by the ghosts of its past? Before she can even settle in, the whirring gears of the silo begin to grind anew. Things aren't right. And the people whose help she most needs are gone. If Juliette isn't careful, she'll soon be among them. Nobody knows what went wrong. Nobody talks about what happened. Such are the silo taboos. Now, nearly two hundred years later, the people of the Silo will get a chance to learn more about that distant uprising. 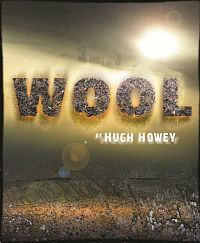 In July of 2011, a short story named WOOL was quietly released into the vast wilds of the Kindle Store. I never marketed this novelette; I failed to mention it on my website. What happened next was remarkable: People started reading it, and reviewing it, and talking about it. There was never any intention to create a series. It wasn't until the demand for "more" became so great that I launched into the next four books, each one growing longer and longer, until I was wrapping up the story line with this novel, a full 60,000 word WOOL 5. I would like to humbly thank everyone who has come along on this journey with me; it has been the most rewarding experience of my young writing career. Your emails, your reviews, your comments on my website, every ounce of your enthusiasm . . . it has combined to grant me enough satisfaction and confidence to last the rest of my writing days. For those of you who suffered the wait, I hope you'll find it was worth it. This is WOOL 5. Brace yourselves. And enjoy. As time winds its way through their lives, the Ramsays face, alone and simultaneously, the greatest of human challenges and its greatest triumph--the human capacity for change. In Jordan's prize-winning debut, prejudice takes many forms, both subtle and brutal. It is 1946, and city-bred Laura McAllan is trying to raise her children on her husband's Mississippi Delta farm - a place she finds foreign and frightening. In the midst of the family's struggles, two young men return from the war to work the land. Jamie McAllan, Laura's brother-in-law, is everything her husband is not - charming, handsome, and haunted by his memories of combat. Ronsel Jackson, eldest son of the black sharecroppers who live on the McAllan farm, has come home with the shine of a war hero. But no matter his bravery in defense of his country, he is still considered less than a man in the Jim Crow South. It is the unlikely friendship of these brothers-in-arms that drives this powerful novel to its inexorable conclusion.